A California court has allowed a privacy class action suit against Google to continue, though only in part. 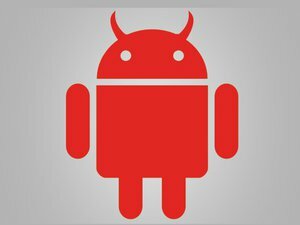 After evaluating each claim of each sub-class in the suit, Magistrate Judge Paul S. Grewal has allowed two claims of the “Android Application Disclosure Subclass,” which includes all persons and entities in the U.S. that acquired an Android-powered device between Aug. 19, 2004 and the present, and downloaded at least one Android application through the Android Market or Google Play. On March 1, 2012, Google introduced a single, unified policy that allows the company to co-mingle user data across accounts and disclose it to third-parties for advertising purposes. The Android Application Disclosure Subclass claimed Google’s disclosures to third parties caused increased battery and bandwidth consumption as well as invasions of their statutory and common law privacy rights. The suit was filed over two years ago and since then the court twice dismissed the plaintiffs’ claims. Google moved for a third dismissal. The claims allowed by the judge includes a breach of contract claim that Google breached terms of the contract by disclosing user data to third parties following every download or purchase of an app, resulting in damages in the form of resource consumption. The second claim is under California’s Unfair Competition Law. Claims by persons and entities in the U.S. that acquired an Android-powered device between May 1, 2010 and Feb. 29, 2012 and switched to a non-Android device on or after March 1, 2012 were dismissed.